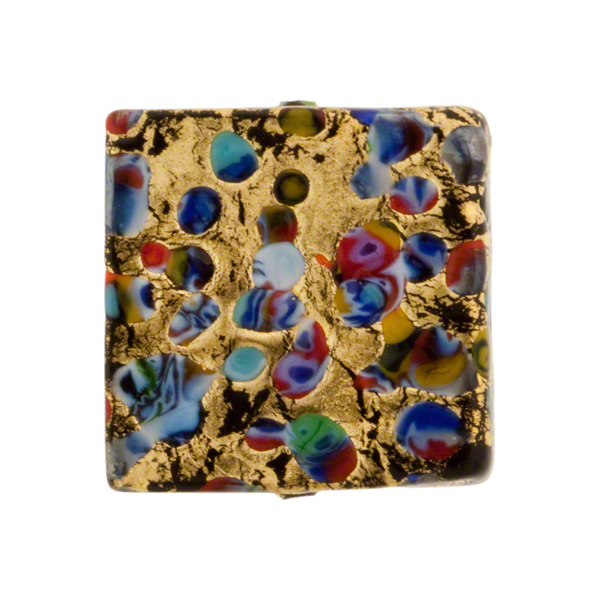 Fabulous KLIMT cube featuring exterior gold foil with bright colors of frit over the 24kt gold foil and in a square approximately 20mm. These are hand shaped so sides are slightly rounded and exact size will vary slightly. 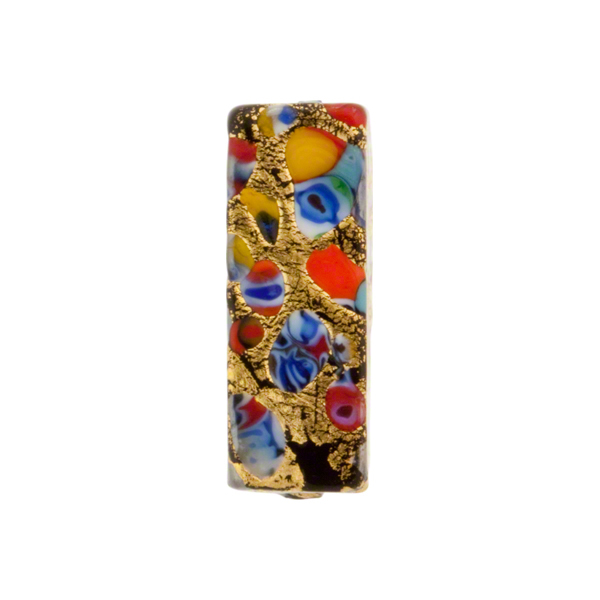 The gold foil is exterior and as such is subject to wear and tear and can be affected by body oils, chemicals, soaps. This is not a defect to the bead. The exact shape, color size and placement of the fragments of glass and the gold foil are completely random with no two ever exactly alike.